It’s finally pumpkin season! 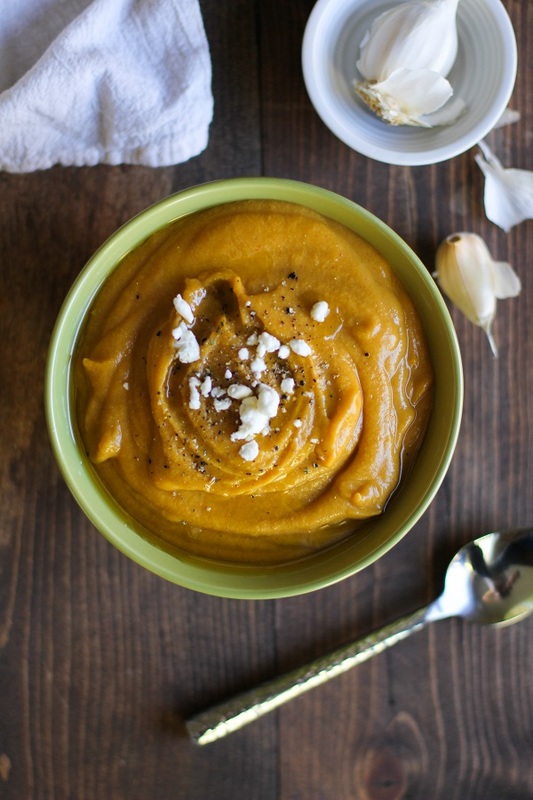 As autumn arrives, make use of the season’s trendiest ingredient with this list of 20 gluten-free pumpkin recipes. Whether you’re craving a sweet or savoury treat, or even if you just want a quick seasonal drink, this list has something for you. 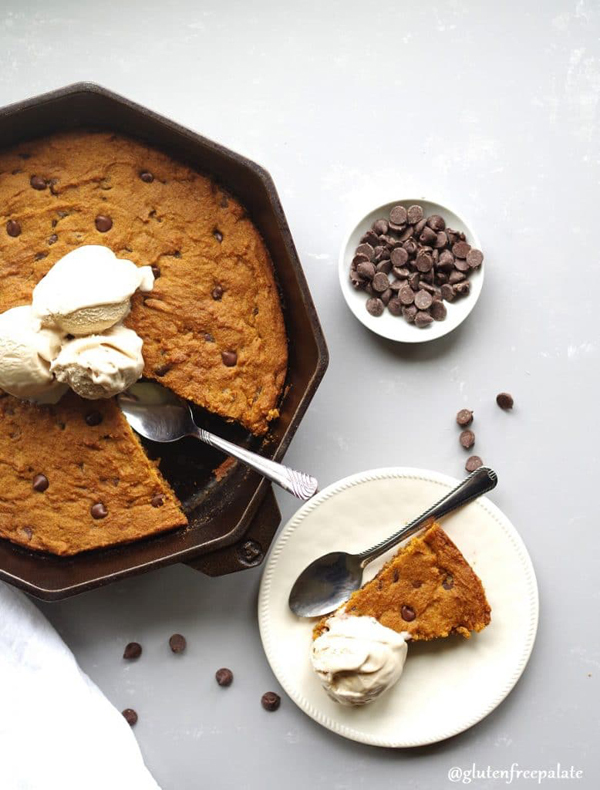 Spiced and filled with pumpkin and chocolate chips, this skillet cookie promises a delicious seasonal treat as well as a kitchen that smells divine! There are dairy free options, too. 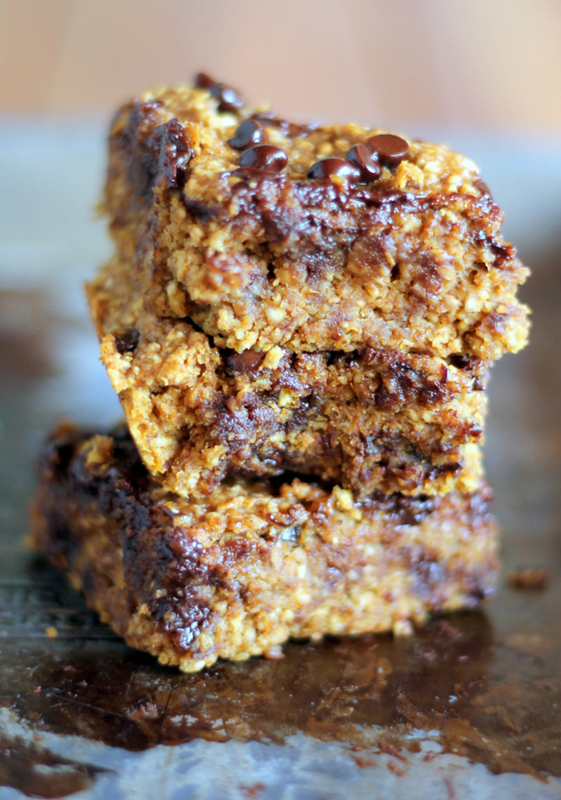 Can you believe that these gooey chocolate chip bars are healthy? At only 128 calories per bar, they’re perfect for breakfasts or snacks and surprisingly guilt-free as well! 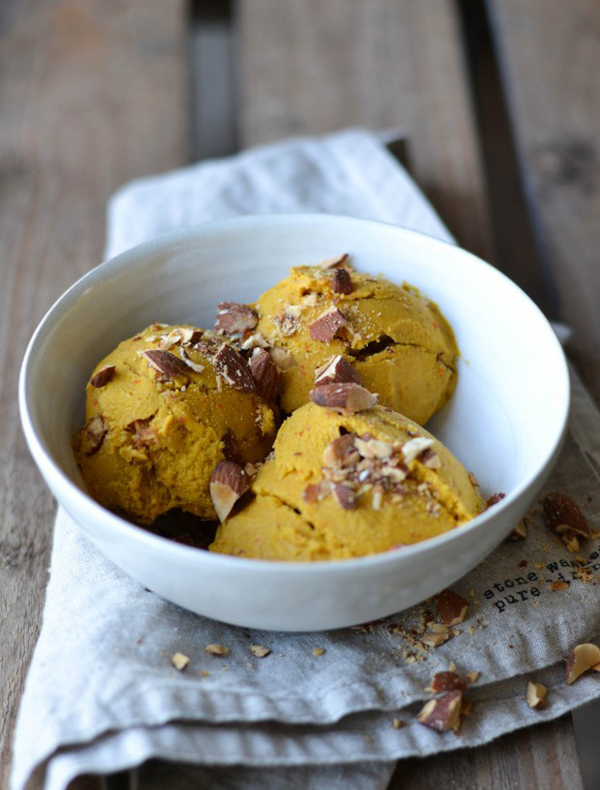 This pumpkin pie ice cream seeks to emulate all parts of the pumpkin pie – even the base! With crunchy toppings for the sweet, creamy dessert, it feels a lot more substantial than a simple bowl of ice cream. 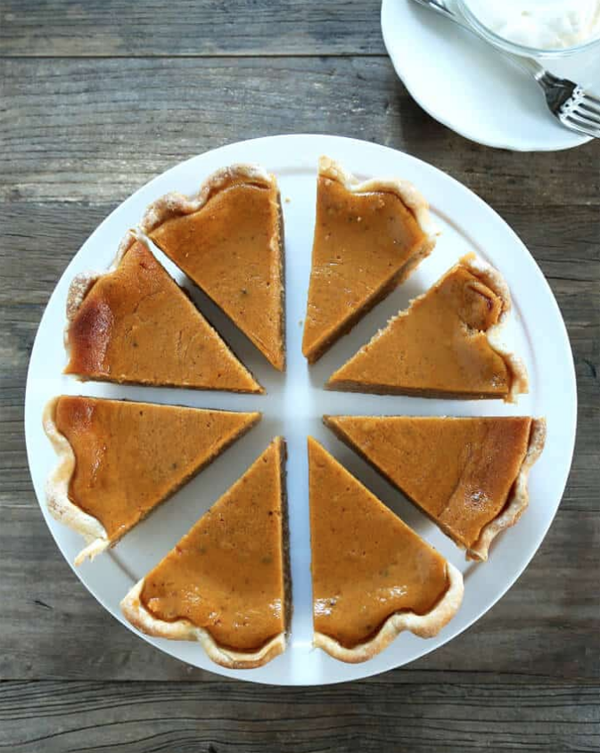 Brighten up your holiday table with a traditional pumpkin pie! 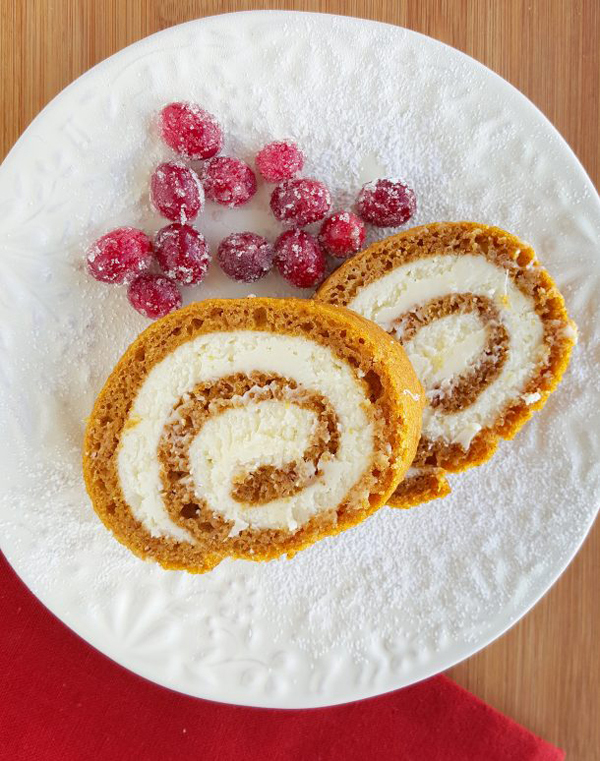 Rich and lightly spiced, with an elegant custard filling, it’s a homely dessert that can be taken to the next level with a smattering of whipped cream. The sponge in this recipe rolls up nicely, reducing the risk of cracks or breakages. The rolls are great with coffee on a cold afternoon, and (literally) spice up any autumnal afternoon tea. This pudding looks delicious served in small glass jars and topped with cream, coconut ice and/or fresh berries. Remember to chill them before serving for a quick, easy and very effective dessert. 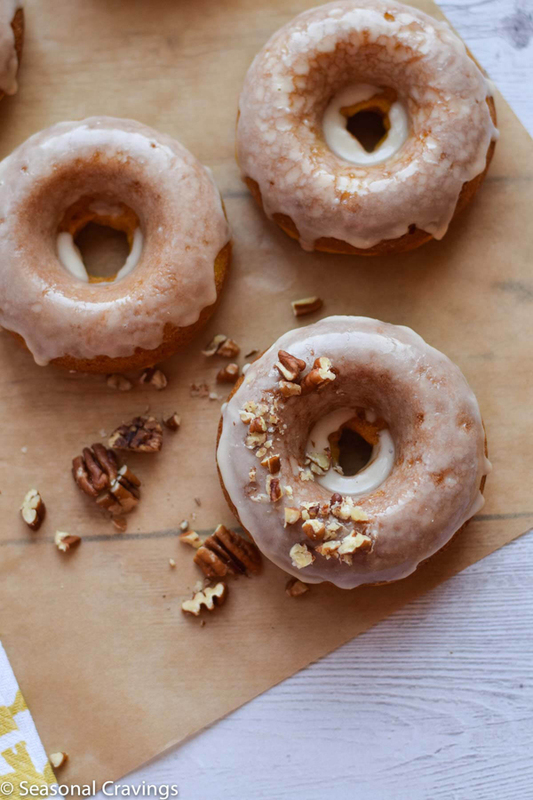 Soft, sweet and packed with flavour, these simple doughnuts are the perfect bakes to take to parties, gatherings and events. They are deep fried to give them a light, fluffy texture, and you can’t tell that they’re gluten-free! Everyone loves a cupcake! 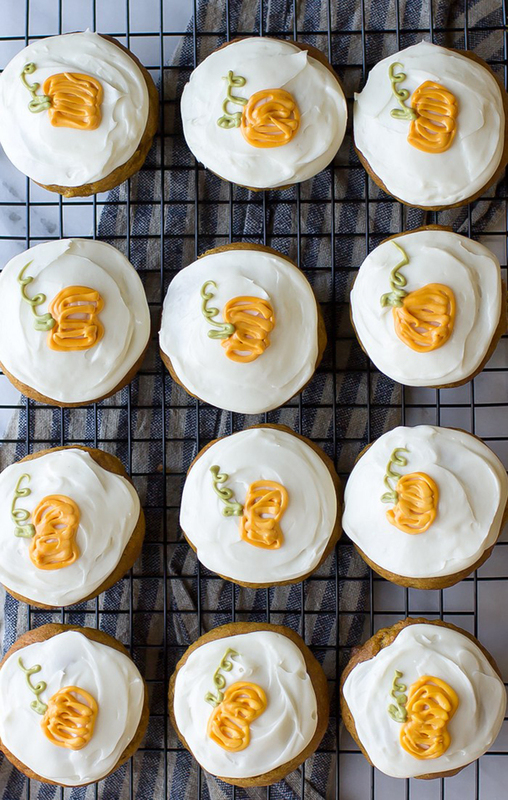 These ones are super cute with their little piped pumpkins. The recipe is full of useful tips with gluten-free flour too, so you won’t regret having a look. 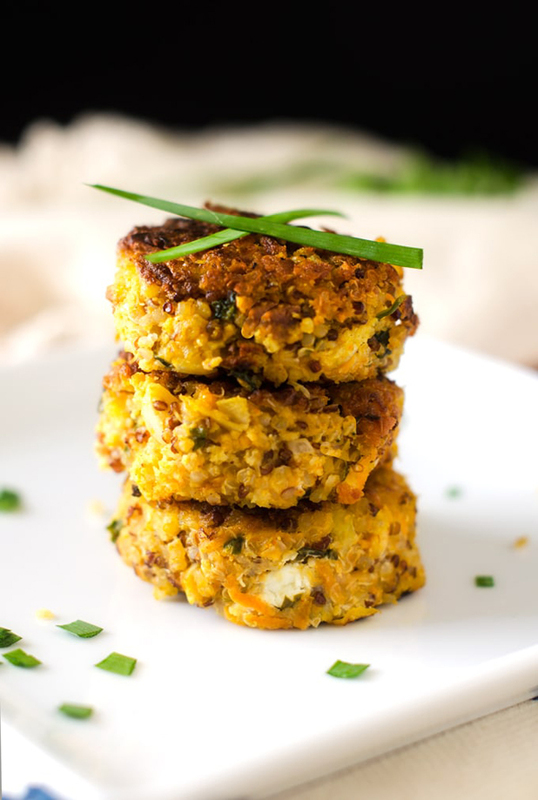 Full of pumpkin, goat cheese and garlic, these gorgeous patties are both healthy and delicious. Interestingly, using the pumpkin reduces the number of eggs and calories in this recipe. We definitely want to try it out! Looking for some comfort food? 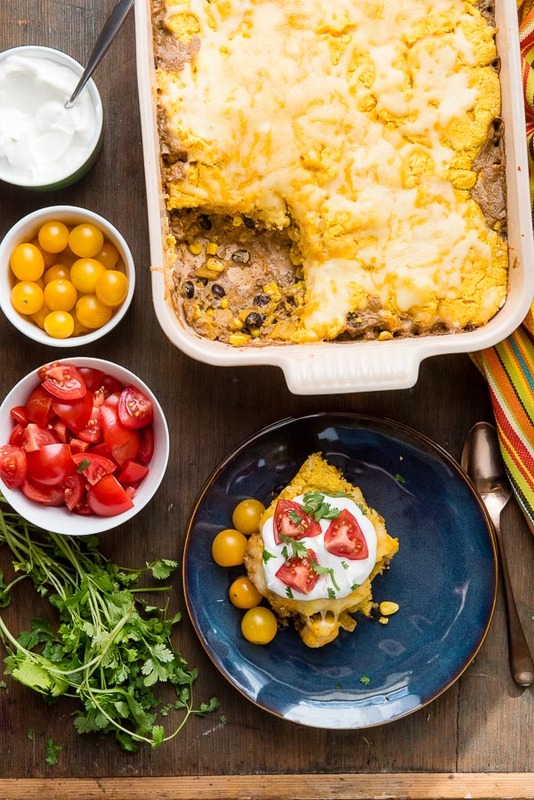 This tamale pie is made with beef, onion, black beans, corn, pumpkin, green chilies and earthy spices, toppe with cornbread and cheese and served with salsa, sour cream or fresh tomatoes. Yum. 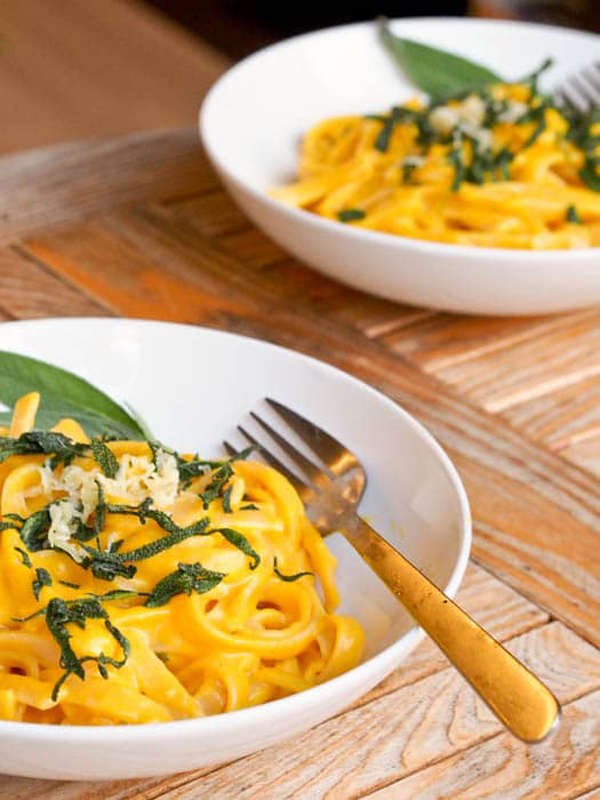 Whip up a quick meal this season with this rich, velvety pumpkin pasta. The sauce is made with garlic and sage and the whole thing is ready in under half an hour. It’s tasty, quick and filling. 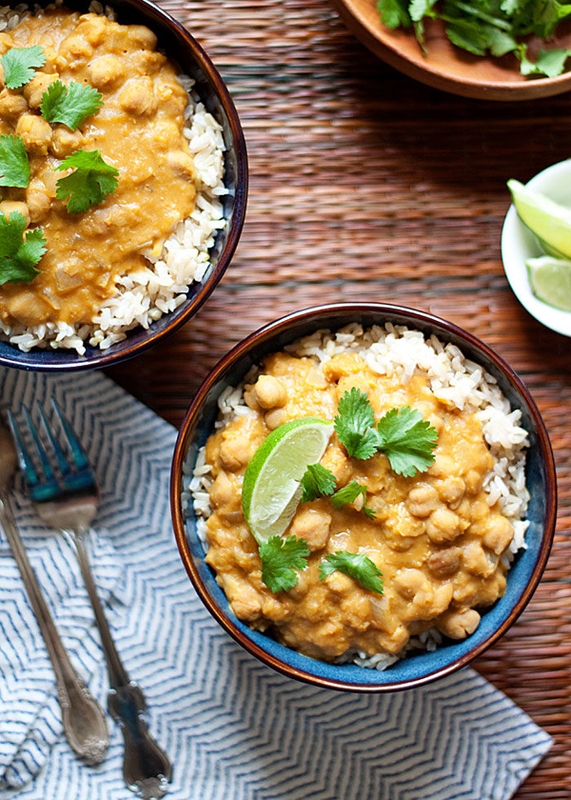 For those reading this who haven’t yet made up their minds about pumpkin, this curry recipe is great – you cannot overly taste the pumpkin, and it’s a warming, hearty dish. It takes an hour to make this soup, so we definitely recommend making too much and warming over the leftovers the next day. Such a warming soup, topped with fresh cracked pepper and goat cheese, will have you wanting more for sure! 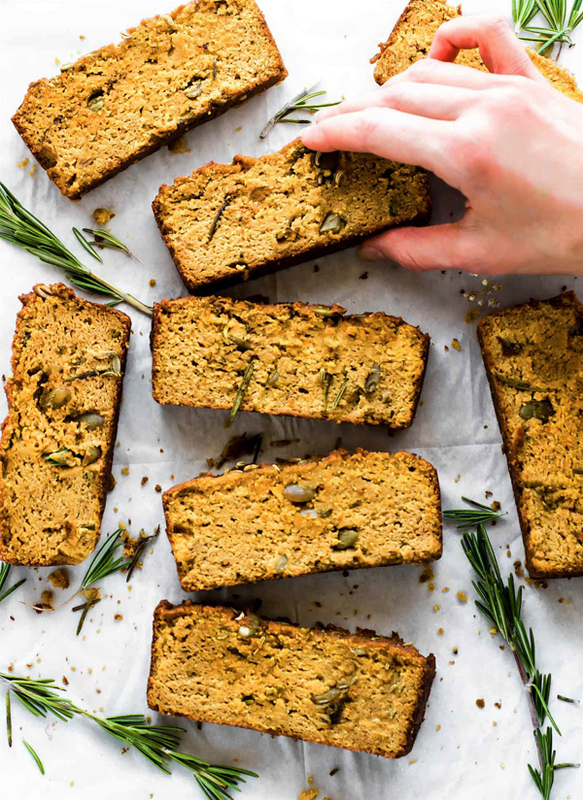 People often don’t realise that pumpkin goes really well with rosemary and other savoury ingredients, but this bread is proof! It’s a great accompaniment to soups and chilis, but also tastes great on its own. 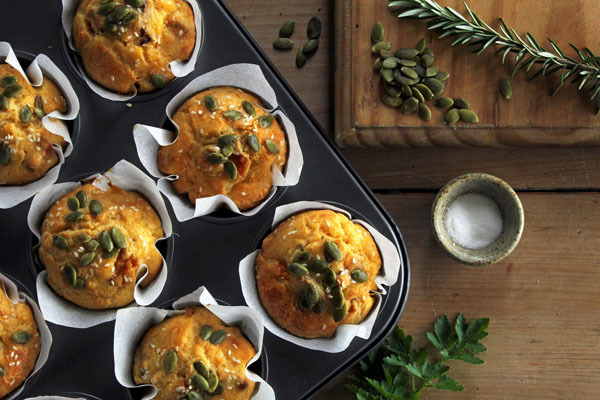 Filled with cubes of roasted pumpkin, these savoury muffins taste as delicious as they look! They’re free from gluten, grains and sugar, too. We think they’d be perfect in packed lunches. 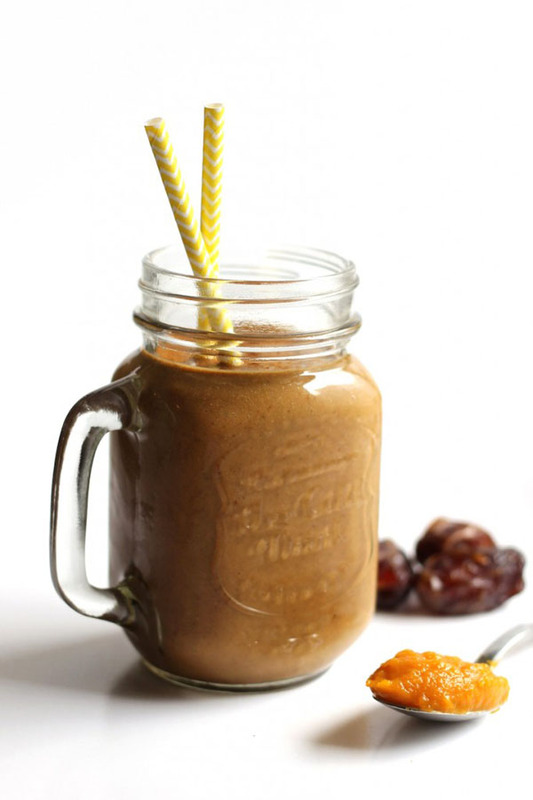 This smoothie is naturally sweetened with bananas and dates, and is filled with fibre and Vitamin A. 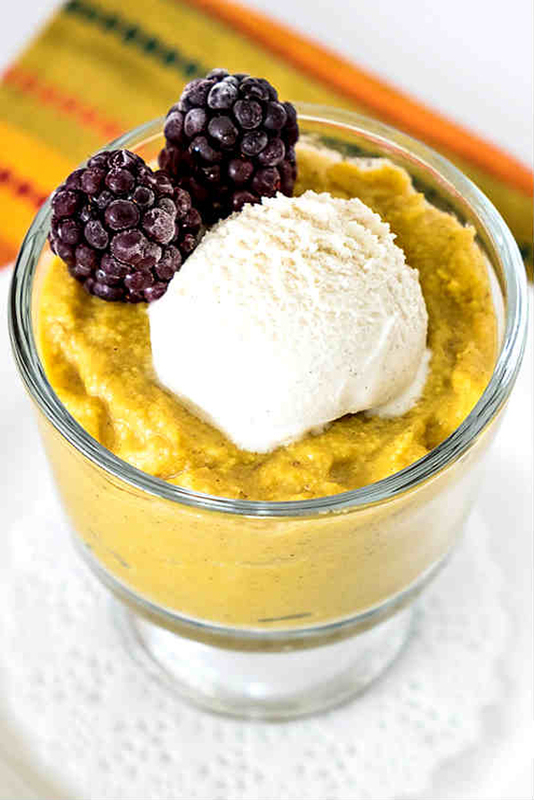 It tastes just like pumpkin pie, and with all of its health benefits it’s hard not to love it! 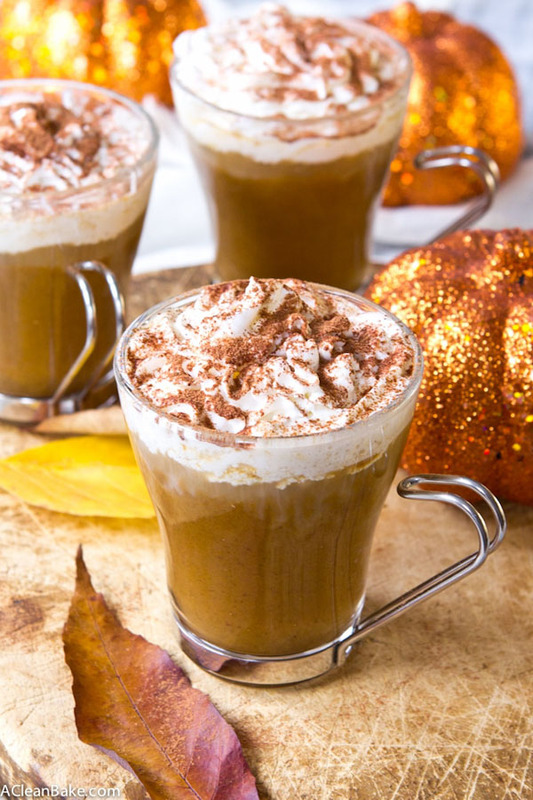 Fancy the PSL everyone’s talking about? Why not make your own? This one only takes a few minutes and is sugar-free too (so a lot healthier than many store-bought PSLs). Another healthier option for you! 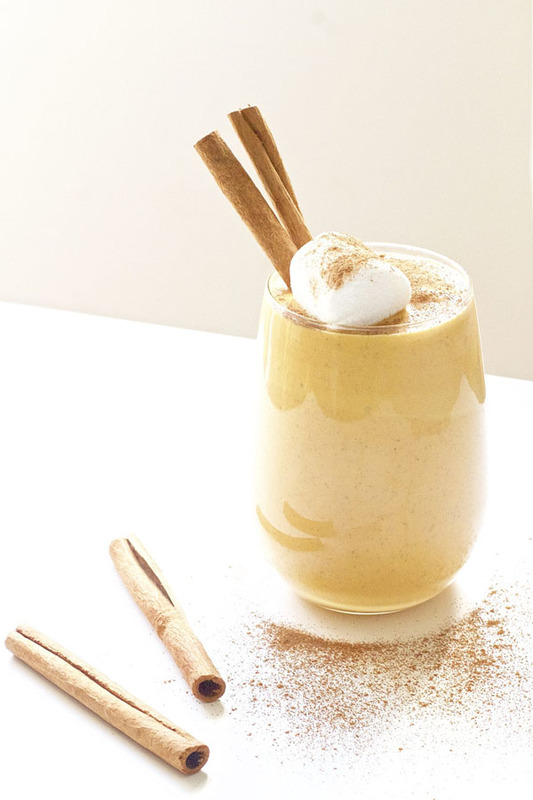 We love the colour of this smoothie, and the sprinkling of cinnamon on the top. The recipe recommends enjoying one as a breakfast snack or after a workout. There is pumpkin in this recipe, we promise! 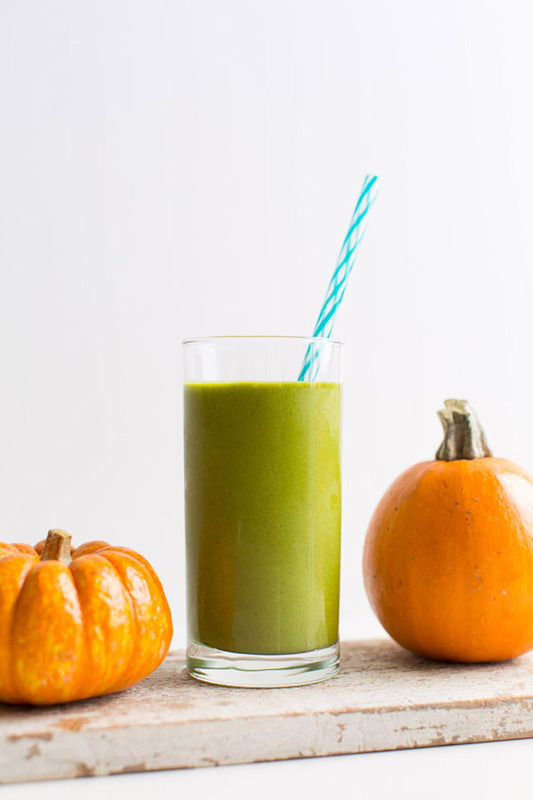 If you want a healthy smoothie that looks as healthy as it is, this one’s vibrant green colour will probably appeal. It’s another one that’s great for a post-workout beverage. We had to put a cocktail in here somewhere! 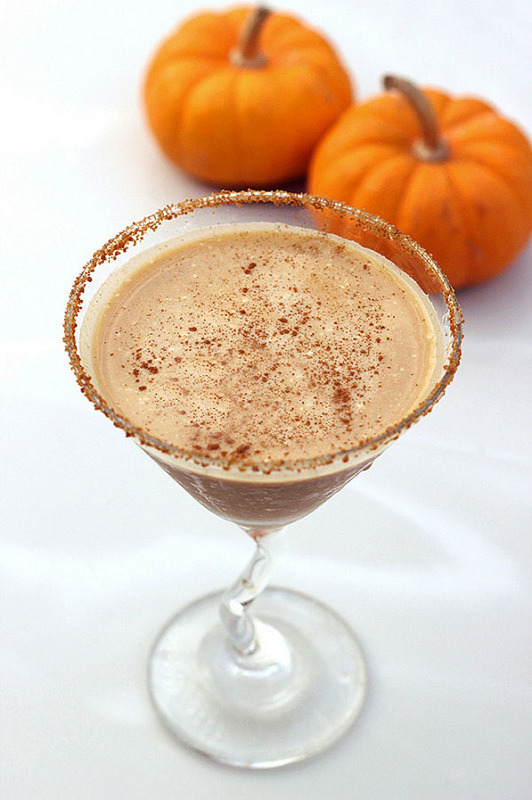 This GF pumpkin pie martini brings together the spices of autumn, a couple of syrups, some coconut milk, pumpkin puree and a splash of vodka. A delicious excuse for a new cocktail recipe.